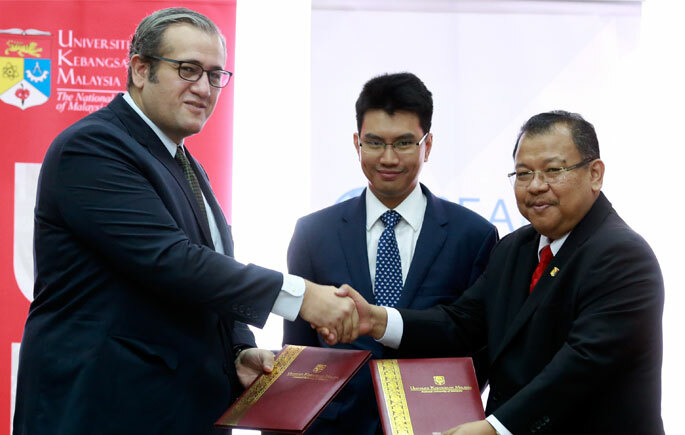 BANGI, 21 February 2017 – Universiti Kebangsaan Malaysia UKM is the first university in Malaysia to collaborate with the World Bank, to run a new research program for interns. The internship is a pilot programme, which will offer internship opportunities to two UKM post-graduate students. Vice Chancellor, Prof Dato’ Seri Dr Noor Azlan Ghazali said a panel from UKM and the World Bank will be set up to choose a candidate most worthy to participate in the programme. “Selection will be done based on students’ academic achievement, professionalism and leadership qualities. “Successful applicants will start their internship programme in April,” he said. He said the research conducted will cover economic aspects such as finance, economic growth, poverty reduction, social protection and labour. “I hope this programme will give benefit to both parties because it is not a common industry internship, but it includes research by both parties,” he explained. He said the research industry internship programmes will be maintained by both parties and UKM will be spearheaded by the Institute of Malaysian and International Studies (IKMAS). 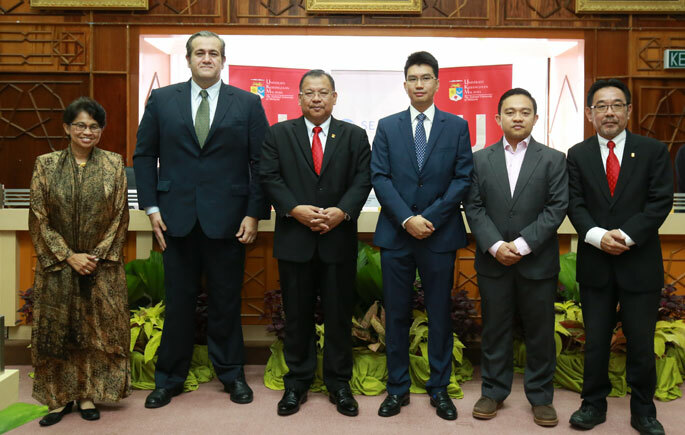 The ceremony also saw the appointment of Tunku Zain Al-‘Abidin as UKM’s Royal Fellow.